Leasing vehicles to individuals is born. Another Galpin first. 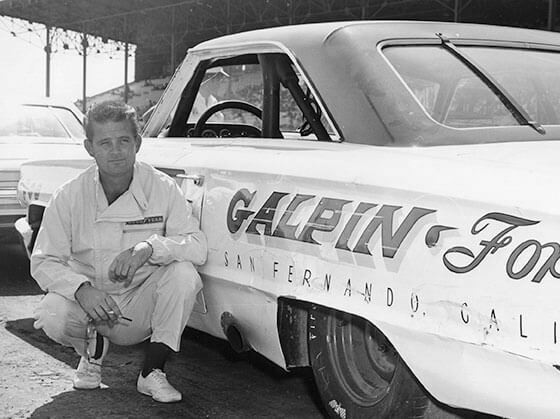 Galpin Ford launches a West Coast NASCAR racing team with drivers Ron Hornaday and “Steady Eddie” Gray. Hornaday leads the Galpin team to four consecutive NASCAR West Coast Division championships! Ron Hornaday Jr., following his dad’s lead, becomes a popular NASCAR champion with 4 Nationwide Series and 36 Craftsman Truck Series victories. 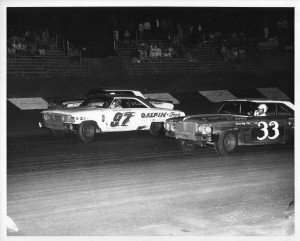 Ron Hornaday leading a race. 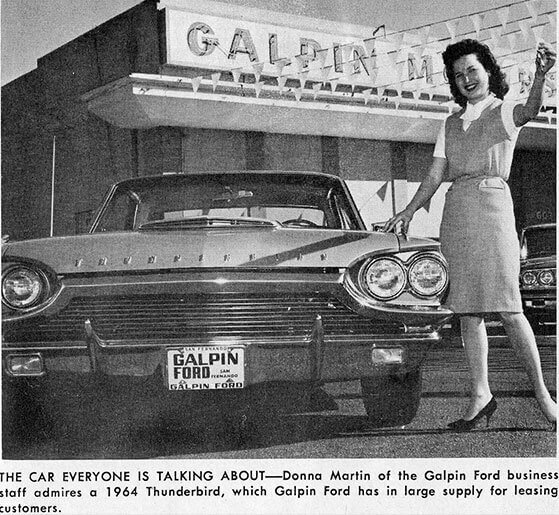 A vintage ad promoting Galpin leasing on the 1964 Ford Thunderbird. 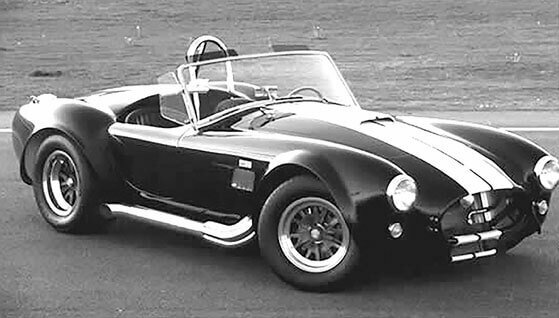 Galpin becomes the first Shelby dealer in California, exclusive Valley dealer for Shelby and the Shelby Cobra. Galpin sponsors the first Mustang Owners and Shelby Cobra Clubs. 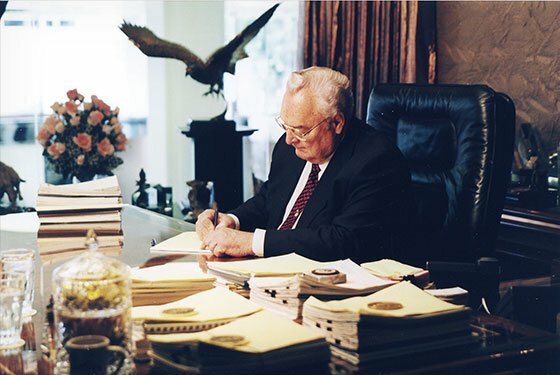 Bert, always looking for the next automotive innovation, teamed with entrepreneur Heinz Prechter to introduce European sunroof technology to America. 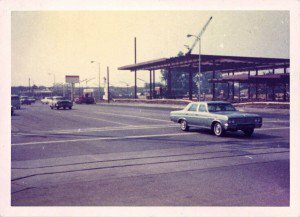 When Ford executives visited the dealership and discovered the popular sunroof equipped vehicles, they approached Prechter to make sunroofs for a multitude of Ford models. 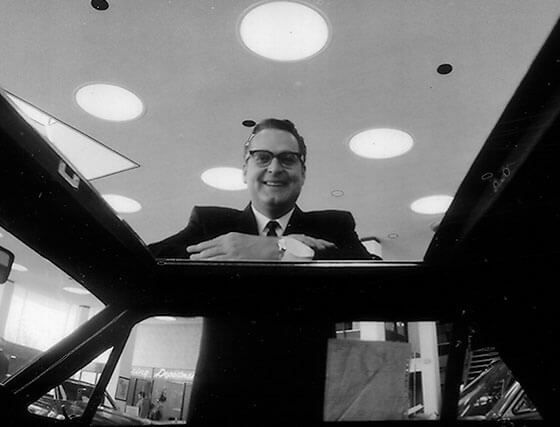 He complied, founding American Sunroof Company (ASC), and the U.S. sunroof industry was born. 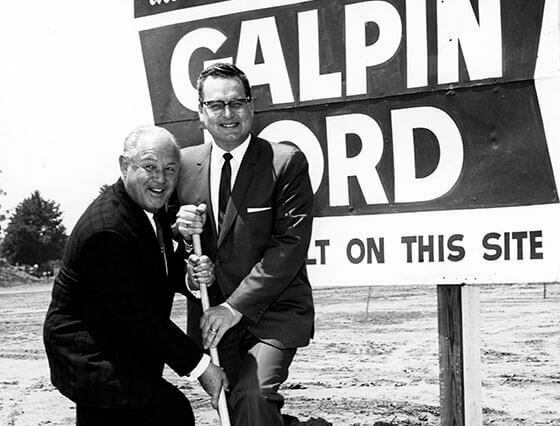 Galpin Ford moves to its current location on Roscoe Blvd. called “Galpin Square”. The vast, modern showroom, with display space for 17 vehicles and featuring the world’s first full-service, in-dealership restaurant, is an instant community attraction, ideal for special shows and events. 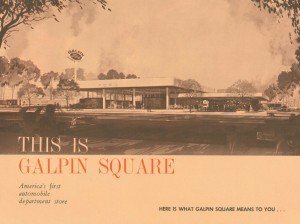 Galpin Square envisioned as America’s first automobile department store. 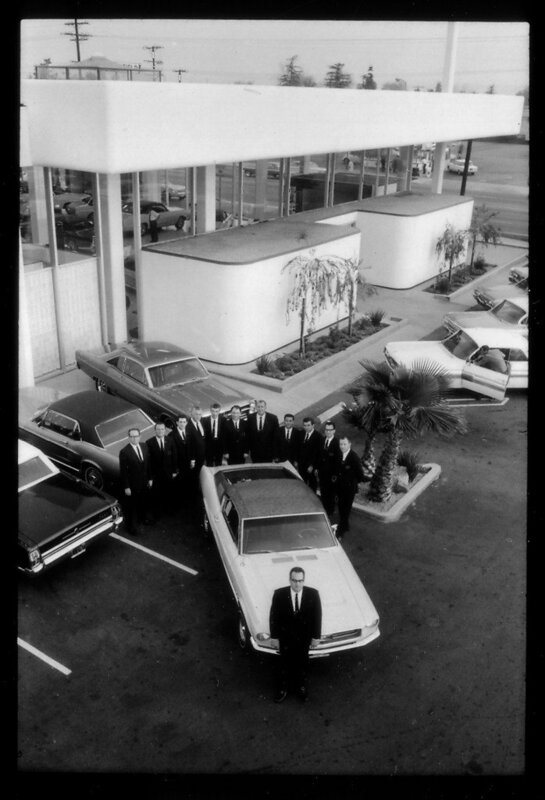 Bert & the Sales team photographed in front of Galpin Ford. Bert becomes the sole owner of Galpin Ford. 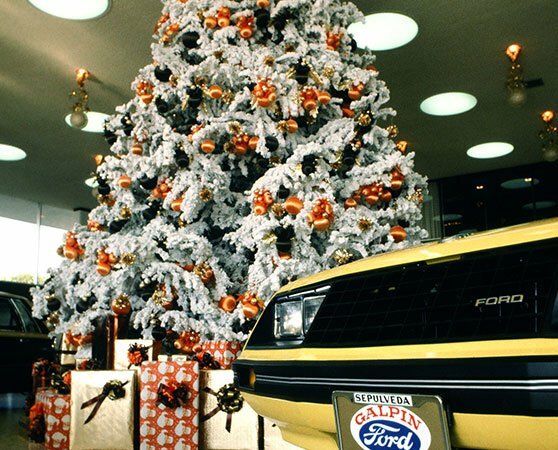 A Valley Christmas tradition begins in the new Galpin Ford showroom when Jane Boeckmann and Gloria McCord decorate Galpin’s first giant Christmas tree. Through the years, the decorations evolve into a festive and elaborate Christmas village installed by Charles McCord, Galpin facilities manager. The tradition even continues to this very day, carried on by the families’ future generations. 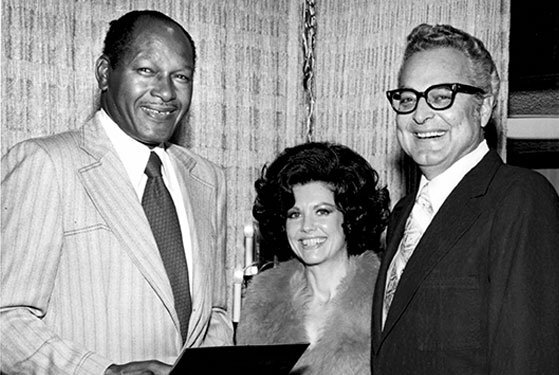 Mayor Tom Bradley congratulates Jane and Bert when Galpin Ford wins the Brand Names Foundation Automotive Retailer of the Year Award. In 1974, Galpin wins the prestigious honor a second time, unprecedented in the industry.